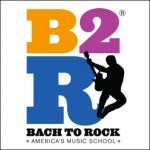 Bach to Rock (B2R), America’s music school for students of all ages, announced today the signing of several franchise development agreements to launch four new schools in the states of Connecticut, Georgia, New Jersey and New York. The brand is experiencing a burst of growth with 30 additional franchised locations slated to break ground between 2016 and 2017. Bach to Rock (B2R) is a music education school for students of all ages from early childhood through high school and beyond. B2R knows learning music should be fun and students learn best when they play music they enjoy. Weekly ensemble instruction and band formations lead to public concerts, Battle of the Bands and recording sessions in B2R’s professional recording studios. B2R builds technique, fosters teamwork and enhances self-esteem through private lessons, band instruction, and public performances. Bach to Rock opened its first corporate-owned location in 2007 in Bethesda, MD., and with its most recent opening in Wellesley, MA, has now grown to 12 schools in California, Maryland, Massachusetts, New York, Pennsylvania and Virginia. Ten franchised schools are in development in Arizona, California, Connecticut, Florida, Georgia, New York, North Carolina, Texas and Virginia, with an additional 30 schools in development nationwide. 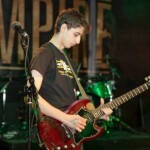 Follow B2R on Facebook at www.facebook.com/BachtoRock and on Twitter at www.twitter.com/BachtoRock. For more information, visit www.bachtorock.com or call 1-877-227-8558.